Jawbone is releasing a new fitness band next year that can track everything from your resting heart rate to your precise sleep cycles and the temperature of your skin. The UP3, which launches later this year for $US179.99, will use three different sensors to monitor your health instead of just one like its predecessor. While the Jawbone UP 24 and many other fitness trackers only use an accelerometer to count your steps and calories burned, the UP3 also includes sensors for measuring temperature, body composition and hydration. The UP3 measures both the temperature of your skin and your environment, so that the device can tell whether your body temperature is reacting to the conditions around you. 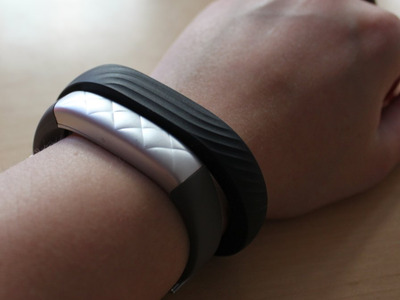 The wristband can also measure your resting heart rate and respiration rate as well. Soon after launch, Jawbone will issue an over-the-air update that brings a few new features including on-demand heart rate monitoring, hydration tracking, and stress and fatigue monitoring. Jawbone also claims its heart rate monitor won’t drain the wristband’s battery. 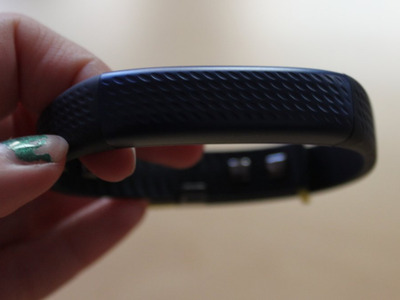 In addition to adding new functionality, Jawbone has also improved on the UP fitness band’s existing features. Rather than just tracking your activities, the UP3 learns about your workouts over time. This means you may not have to actually log your activities manually if you wear the wristband often enough for it to pick up on your habits. So, if you go for a run, Jawbone will ask if you went for a run when you navigate to the app to log your workout. If the app is correct, you simply tap the “Yes” button to log your run. If it’s incorrect, you can add the activity manually. The goal, according to Jawbone, is to make it so that UP wearers use the app more for interacting with friends on their team rather than manually logging their activity. Jawbone says it’s improved its sleep tracking features too. It now shows you how long you’ve been in REM sleep in addition to deep and light sleep. Although the new UP3 has more sensors than Jawbone’s previous model, the company managed to make the wristband incredibly thin. It’s slimmer than its predecessors and most other fitness bands out there, and Jawbone will be releasing various different styles. The plain black band will be available at launch, and other styles like the one pictured will be released soon after. 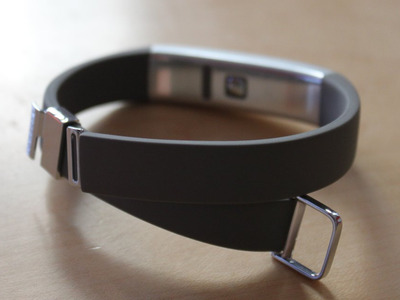 The clasp is also redesigned and the strap itself is more flexible than that of the UP 24. Based on Jawbone’s claims, it sounds as if the UP3 will be one of the most advanced fitness trackers out there. It is, however, slightly more expensive than Fitbit’s new Charge ($US129.95) and Charge HR ($US149.95), at $US180. But it’s still cheaper than Microsoft’s new $US200 Band, and if the UP3 performs as well as Jawbone says it will, it may be worth the extra few bucks.